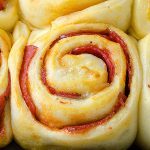 PIZZA PUFF PASTRY TWISTS – Easy and nice way to enjoy pizza! 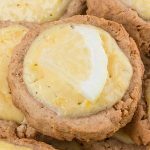 Perfect for every occasion and a real hit for a party snack! I am bringing you Game Day food that has everything you could ask for tastes like pizza, can be made in advance and it is hand-held. 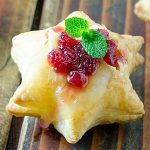 All that is needed to make your own Pizza Puff Pastry Twists is puff pastry, pizza sauce, mozzarella cheese and egg wash.
Pizza Twist can be made with puff pastry, pizza dough, crescent rolls or even crescent sheet. Use store-bought or homemade. 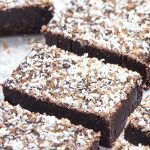 This little stick of heaven is pretty easy and very fun to make. First, place two sheets of puff pastry on a parchment paper lined baking try then place a dinner plate on top and cut out equal size circles from both sheets and remove rest dough from around of plate. On the bottom sheet spread pizza sauce and shredded mozzarella cheese and place the other sheet of puff pastry on top. 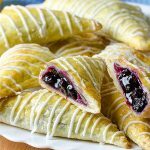 Take a glass and place it in the center of the circle and using a knife or pizza cutter cut strips away from the edge of the glass to create 16 equally spaced strips then carefully twist each one around a few times and lay it back on the tray and brush the pastry with egg wash and bake. 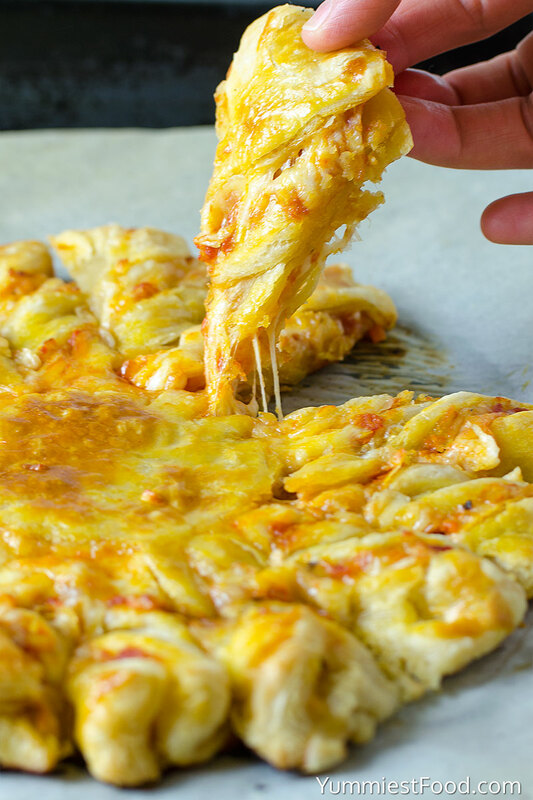 Simple and easy Pizza appetizer prepared in no time and served in less than half an hour. 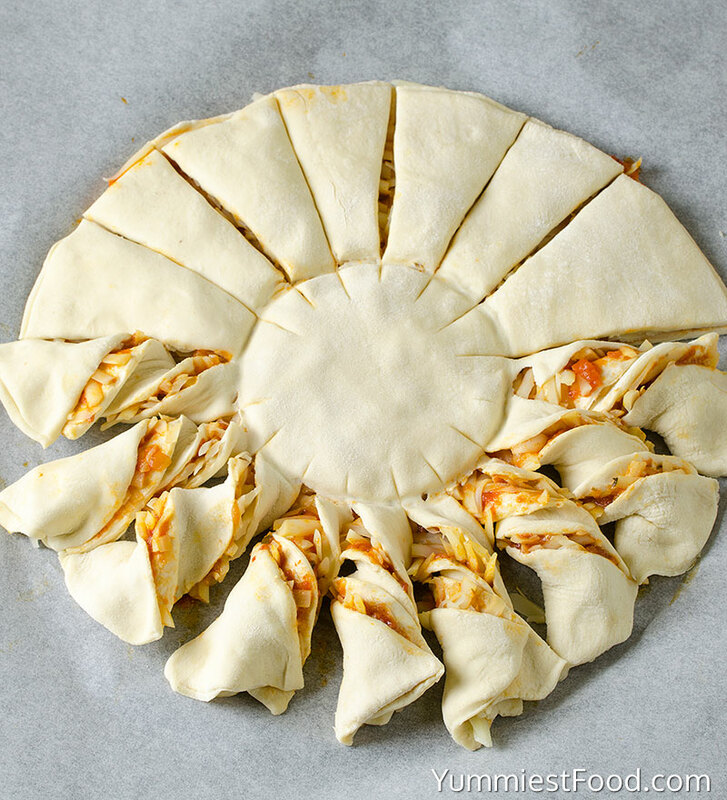 Skip the delivery and make this Pizza Puff Pastry Twists, this is such easy and yummy for all! 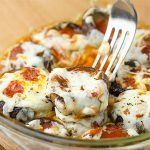 My kids love making it and I love it for an evening when I don’t have that much time to invest in dinner. 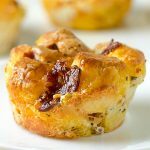 Easy, cheesy and delicious! 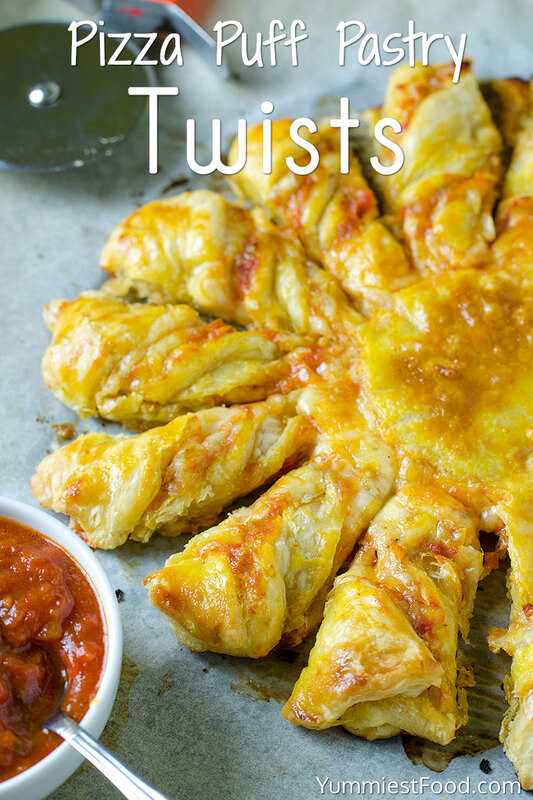 This Pizza Twists become a new family favorite recipe! Enjoy! you really should add pepperoni to make it a pizza twist, or add something saying they can add pepperoni or sausage or anything they like. Otherwise it’s a cheese twist with sauce. Hi Becca, I wouldn’t try freezing them, not sure how that would work. 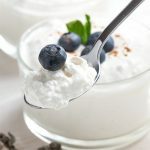 Thanks for the response – in the article (info above recipe – I actually read yours 🙂 lol usually I don’t – but it does say that this can be made ahead of time?